Kurt Cobain may be the most tragic artist in the modern age of American music. He was an immensely talented individual, both as a singer, and songwriter, and had an incredible charisma as the frontman for Seattle rock band Nirvana. However, beneath that charisma was a man struggling with ill health, addiction, and depression, the latter of which would ultimately claim his life in 1994. He left behind an incredible body of work that features some of the most well known rock songs of the 1990’s. The song “Where Did You Sleep Last Night” (a.k.a. “In The Pines”) is a classic American folk song, with the most well-known version being from American blues singer Lead Belly. That changed though in 1993 when Nirvana recorded their own version on the MTV show Unplugged, which would go on to become one of the most iconic performances in rock history. 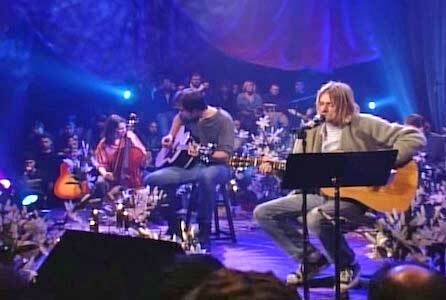 This would end up being the last song Cobain performed publicly before his death. Kurt Cobain performs “Where Did You Sleep Last Night” while wearing black chucks. 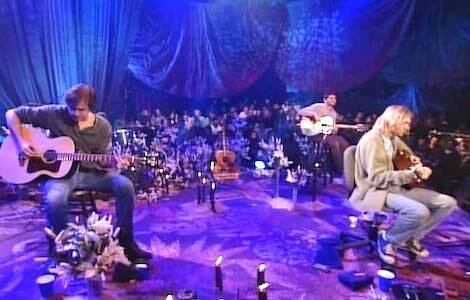 The music video is taken from the band’s performance of the song on stage during their MTV Unplugged set. The stage is adorned with candles and flowers, which, when combined with how small the crowd and stage are, creates a very intimate setting. The band is dressed in their typical everyday street clothes, with Cobain wearing a pair of black chucks under his blue jeans. The performance of this song is the stuff of legend, as it very well may be Cobain’s greatest vocal performance. His voice goes through such a dynamic range of emotion throughout this song, starting out in a low and despondent tone. Cobain portrays the song’s subject as someone who is completely lost, and almost on the verge of tears. Over the course of the song though, that sad tone turns into one of rage on the final verse. Cobain’s sings in a guttural scream here and you absolutely feel every single ounce of pain in his body, but there’s still a sliver of sadness in that anger. The setting for this performance is very gothic. This all culminates in the final line, “I would shiver the whole night through”. Here Cobain jumps up an octave, forcing him to strain so far he screams and his voice cracks. He hits the word “shiver” very hard, and in that moment the band stops. He then howls the word “whole”, and pauses. Here he opens his piercing blue eyes, and the look on his face is impossible to describe. There’s so much emotion in this performance, and the song is a heartbreaking and powerful rendition that acts as a tragic swan song for the late rock star. 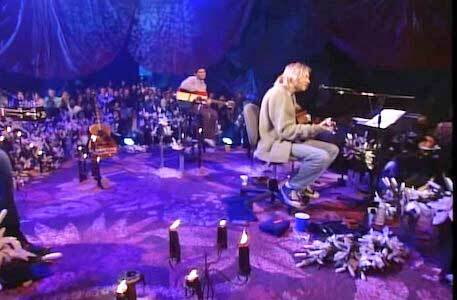 It’s been reported that Cobain chose the array of candles and flowers to make the stage look like a funeral. Click on the links below to get a new pair of chucks to wear when you are awake.